The National Parking Association (NPA) released its 2018 40 under 40 class and Premier is excited to announce that we have four honorees this year, making up 10% of the class! “Premier is once again so proud to represent a big piece of the NPA’s 40 under 40 class of 2018. We are so proud of our team that works hard every day to better themselves, Premier, and the clients they serve. It is an honor to serve alongside Nate, Laura, Travis, and Joyia. They represent what’s best about Premier – our people – and I’m humbled to be a part of the team they’re on. Congratulations to each of you on this great achievement. I am, along with the rest of Premier Nation, proud of you.” – William Clay, Vice President and member 40 under 40 class of 2017. These four outstanding professionals, along with the other 40 under 40 winners, will be inducted into the awards program at the NPA 2018 Convention & Exposition in Las Vegas, NV on October 23, 2018. The inductees will also have the opportunity to participate in an exclusive peer network group. This network group allows inductees to meet each other, ask questions, discuss best practices within the industry and share their ideas. 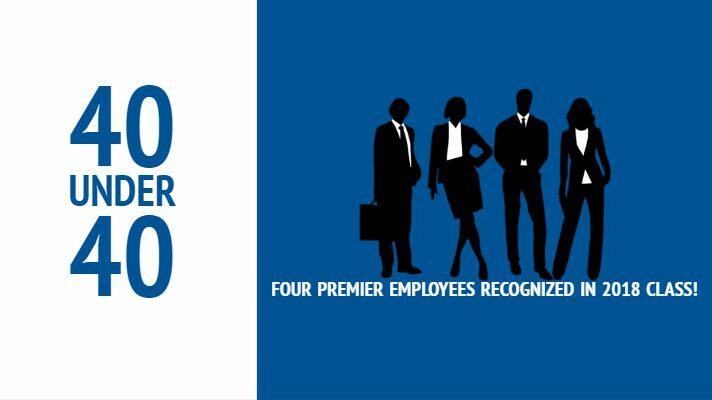 Laura, Travis, Joyia, and Nate have now joined several other Premier employees in the elite 40 Under 40 group. Past honorees on the Premier team include: Lisa Sprouse, CPP, VP of Marketing; Owen Sanford, CPP, VP; William Clay, VP; Hunter Kitchens, General Counsel; James Baker, CPP, VP of Operations; Christina Murray, CPP, General Manager; Dave Crowe, Regional VP; Ryan Hunt, President; Ryan Chapman, CEO. To learn more about the 40 Under 40 program visit WeAreParking.org/40nder4Award.